Home » Directory » FCA S.p.A.
Fiat Chrysler Automobiles (FCA) designs, engineers, manufactures and sells vehicles and related parts and services, components and production systems worldwide through 162 manufacturing facilities, 87 R&D centers, and dealers and distributors in more than 140 countries. The Group's automotive brands are: Abarth, Alfa Romeo, Chrysler, Dodge, Fiat, Fiat Professional, Jeep, Lancia, Ram and Maserati, in addition to the SRT performance vehicle designation and Mopar, the parts and service brand. The Group's businesses also include Comau (production systems), Magneti Marelli (components) and Teksid (iron and castings). In addition, the Group provides retail and dealer finance, leasing and rental services in support of the car business through subsidiaries, joint ventures and commercial agreements with specialized financing services providers. FCA Fleet & Business has the possibility to offer a complete range - from city cars to SUVs, from premium sedans to light commercial vehicles. A range which presents the latest safety features, the most efficient engines, with low fuel consumption and reduced maintenance costs. With more than 25 passenger car models and 8 light commercial vehicles, FCA is able to satisfy any business customer needs. Furthermore FCA offers a wide range of eco-friendly, bi-fuel (CNG/petrol) models, both for PC and LCV. 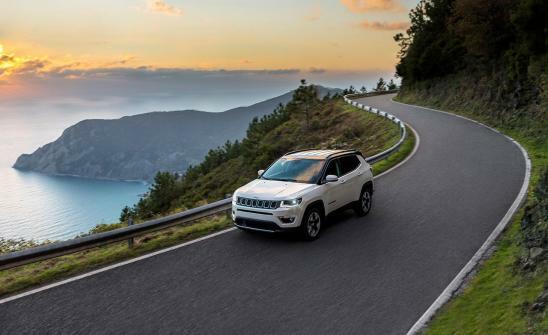 FCA has been Europe's leading producer of OEM natural gas vehicles for more than 15 years. FCA Fleet & Business can provide any financial solution for each type of business customer, as well as personalized aftersales services. An extensive dealer network coverage with more than 3.000 Points of Sale, and 6.000 workshops all over Europe is at hand for the business user. Furthermore, business customers will receive a tailored service at any of the 230 specialized Dealer Business Centers all around Europe.